Putting Off Plumbing Repairs May Cost More In The Long Run! Homeowners put off heating and plumbing repairs due to numerous reasons. Some are short on cash while some others may not have the time to DIY or hire a professional heating and plumbing contractor. 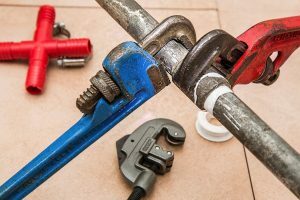 Most of us prefer to let a minor plumbing issue languish since it doesn’t present any major inconvenience at the moment. But neglecting minor repairs can have a profound impact on the repair costs in the long run. The problem can become much larger, costing you more money in repairs, in the long run. Here are the main reasons why you need to take care of plumbing repairs as soon as you detect one. Most homeowners do not take notice if they find a little water leaking from their faucets. They often think that a few drops of water are no big deal after all. In fact, delayed maintenance on a plumbing issue can come back more strongly and haunt you in the near future. If there is a leak in your faucet or supply line, you have to pay for the water that gets wasted. Although it may not sound such a big deal, the EPA Water Sense Program states that a single leak can add up to 10,000 gallons of water per year. Just imagine how it will affect your water bill! Leaking water can cause a lot more problems that increasing your water bill. Whether the leakage is in a drain pipe or supply line, the moisture can promote the growth of mold and mildew, which can cause serious health issues as well as rot the woodwork in your home. Just imagine what it would be like to replace a door, ceiling or wall because you did not attend to the plumbing problem at its inception! Plumbing problems can go beyond costing you more money in the long run. Mold and mildew will promote respiratory issues, and biofilm in the pipes is responsible for a wide variety of noxious diseases. There are many other issues such as a backed-up sewer line or a leak around the toilet seal which can expose your loved ones to raw sewage inside the house. Considering all these serious issues that could result when you ignore minor plumbing issues, your choice becomes obvious. Either you need to start repairing these minor issues by yourself or call a professional plumber to do the job. Don’t think about the time or money spent on such repairs because you may have to spend much more if you wait until you have a real emergency. If you are faced with a sudden plumbing repair, don’t ignore it. Call a professional plumbing contractor to repair it without any delay.